It's like Christmas in April! The much anticipated Bhut Jalokia (aka, world's hottest pepper) plants have arrived. When you order from a nursery you've never dealt with before, you never quite know what to expect. These folks, Cross Country Nurseries, far exceeded my hopes and expectations. The plants are top quality, ready to plant in the garden. They shipped promptly, just like the promised, and their packaging is some of the best I've ever seen. Often when I order from a plant nursery, the plants have lost their tags in shipment, or come wrapped in plastic wrap and rubber bands, soggy and too wet. These folks know how to ship. 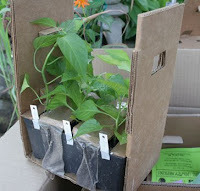 Check out the photos of their shipping cartons, how the pots fit the cartons, how the pots are both taped in, and the soil held in place with a little cardboard collar. They arrived moist, but not wet, and the name tags are attache d, AND taped in place. A big THUMBS UP to these folks for their care in shipping. 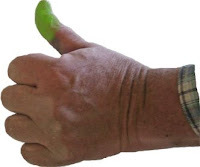 I'll be posting some thumbs up and thumbs down to other plant nurseries in the days ahead, my own rating system of the good, the bad and the ugly in plant handling from the professionals. And look at the size of the pepper plants in the photo. Check out Cross Country's website, they grow hundreds and hundreds of varieties of peppers, tomatoes and eggplants. More information about the world's hottest pepper is here. The achocha seeds my friend sent me from Bhutan are up and growing. He sent varieties from the Bumthang Valley and some from another area near his home. He said the plant is well known there and the name translated means "Crows beak." I first encountered this plant when a friend in Bolivia sent me some a few years back. It's a vigorous vine, needing a trellis similar to a grape arbor, or a good fence. The fruits are somewhat okra-shaped and are used fried, stuffed and baked and several other ways. The flavor is somewhat like cooked sweet peppers, although it gets called a "cucumber." The leaves and young shoots smell cucumber-like, and our Chinese friend, Eddie Chong, made a tasty dish of the shoots with some ginger, garlic and soy sauce. I'm excited to be trying 2 new varieties of achocha this year. You can read more about the plant in Lost Crops of the Incas, Little Known Plants of the Andes with Promise for Worldwide Cultivation. And for additional information see this listing of varieties. 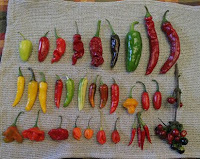 (The photo to the left shows the peppers I'm growing, but none of them are the Bhut Jalokia, yet). One of the hot new plants this year (ok, it's not new, it's centuries old, but we in the West have just "discovered" it) is the Saga Jalokia. Also known by the names of Naga Jalokia and Bhut Jalokia, this so-called “new” pepper, comes from northeastern Assam, India, near the Equator (where all of the hottest peppers originate around the globe), and is also known by the names, “ghost chile,” and Bhut Jolokia. The University of Mexico has been testing this new pepper and proved beyond a doubt in 2007 that this was, indeed, the world’s hottest pepper. (In India, according to my friend Puneet, who comes from New Delhi, this pepper is called "tatayyia mirch," which translated from Hindi, is "wasp chili," because he said, it is like having a very big wasp sting your tongue). To read my complete article about this amazing pepper, and how it will keep elephants from trashing your garden this year, go to my Columns link on my website. With freeze warnings for tonight I've brought the baby achocha vines in from the coldframe. Eggplants, peppers and marigolds will fare fine there. The whitebud tree that my plant buddy, Brent Divis gave me some years back is in full bloom. With the redbud in the background it is a nice contrast. The clove-scented flowers of the black currants fill the air and the lilacs are just opening. There's a really good recipe for lilac sorbet in my Fabulous Herb & Flower Sorbets. , adapted from Cathy Wilkinson Barash's book, Edible Flowers from Garden to Plate. What does it taste like? Like the amazing fragrance of lilacs, of course! 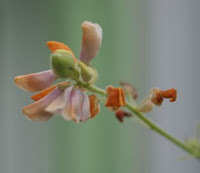 There are some views of my plants now in bloom and my upper garden just click here. Then you can watch as a slide show or enlarge individual photos. We have customers who use photos of our garden as their screen savers, too. Leave comments, we always like hearing from folks who visit our blog. This is the first time I've seen the Dancing Tea in bloom. I have it on my sun porch with the other plants and it's happily blooming. If we have a warm day soon I will move it outside to see if something will pollinate the flowers. And I've been able to get the seed to germinate, as well. My good friend, Joe Javorchik, gave me 4 dancing tea seedlings last spring. I knew nothing about the plant and he hadn't grown it before, either. I did some searching on the internet and found that it's from Thailand, from the town (or area) of Udorn. It is reportedly a cross between Codariocalyx motorius and Ohashi leguminosae. I wasn't sure whether it was a sun-loving or a shade loving plant, so I planted the 3 plants Joe gave me as seedlings, in full sun, part sun and almost full shade. The two that thrived were the shade and part shade located plants. The part shade plant reached more than waist high by mid summer. I've not tried the leaf tea yet, but I have dug the plants and brought them indoors. 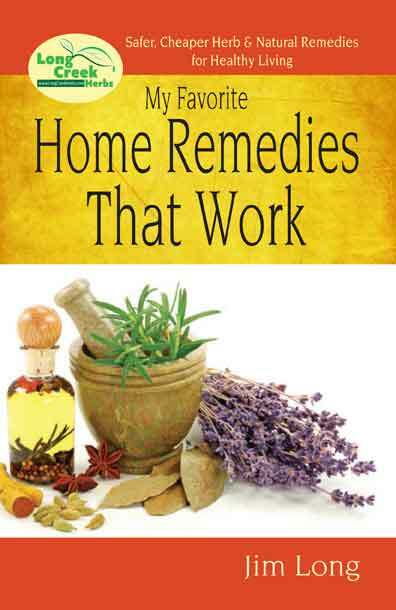 The plant is important because of it's high concentration of antioxidants and considerable research is being conducted in Thailand on the plant's healing and anti-aging properties.